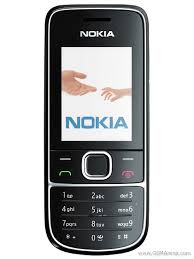 Nokia 2700c with RM-561 latest flash file is going to free download from this landing page. This is updated firmware working on 2700c, rm- 318 and 2700 classic available in zip and rar format on the go. For flashing of above discussed Nokia models you can use a USB cable which allows you to connect your device to PC. The flashing process will be easy these days. To achieve 100 success you have to download all three files in one pack include from the bottom of this page where the direct download link locations is provided. It is totally free and safe as we are sharing all such files which are originated from the officials. With out any difficulty you can get the one click access to your device very easily. All flash files in this website is provided very small in size so you can save a hug space on your windows disk. Also you can skip a lot of time which is investing in waiting while the big file to be download. It take about a minute to complete even in a low speed internet connection. You can use some flashing boxes like UFS HWK, JAF, ATF or Universal flashing box to flash any type of Nokia cell phone. This one is original and most recommended flash file which is easy to use and ready to download here. File size is 32 MBs. We are adding the latest and last updated versions. Download it now on of your choice. Once you can download and install it then you are able to use its all features.